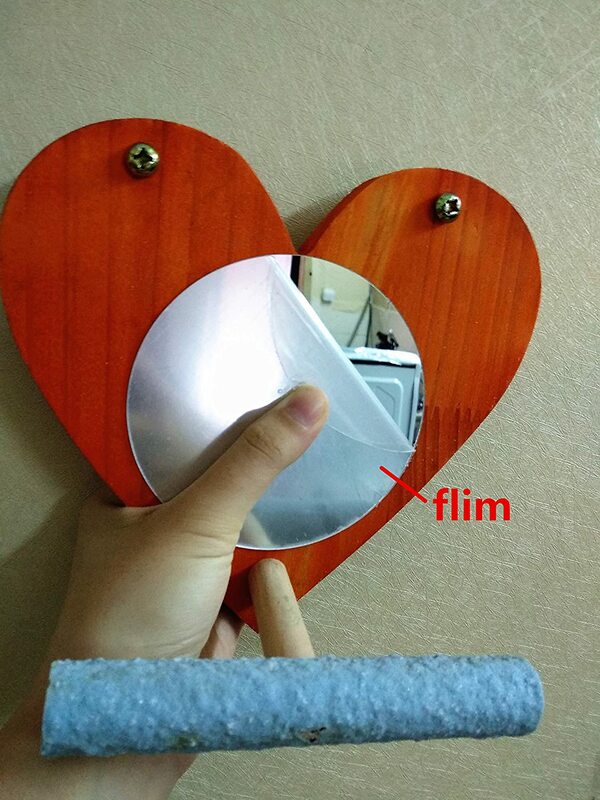 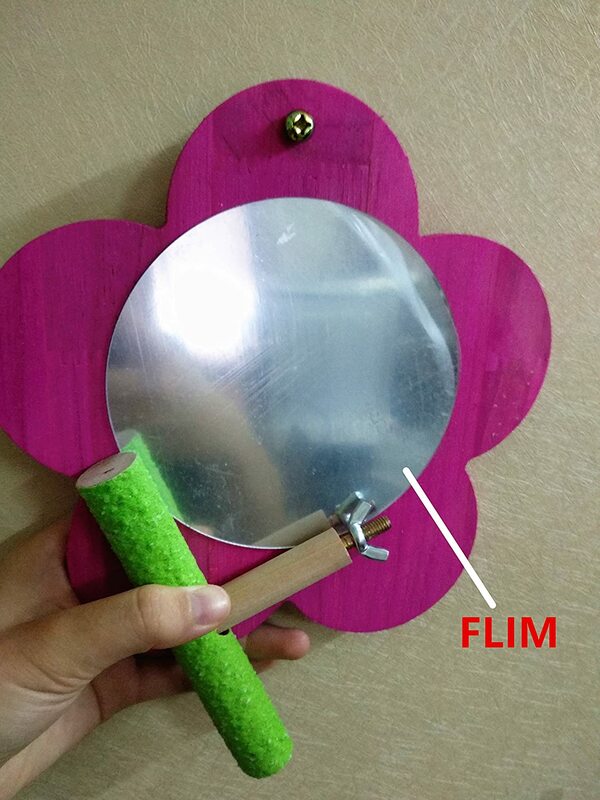 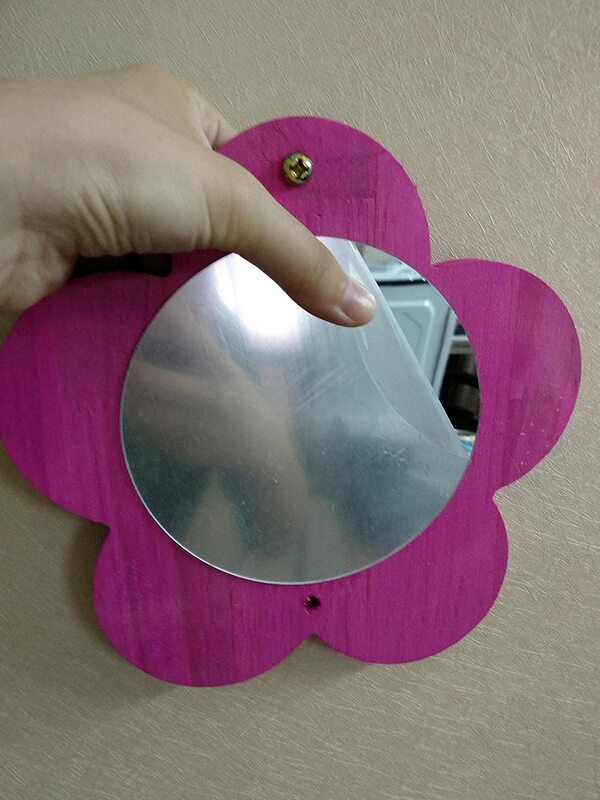 Overall dimension: 15*15cm/ 5.9* 5.9 inch. 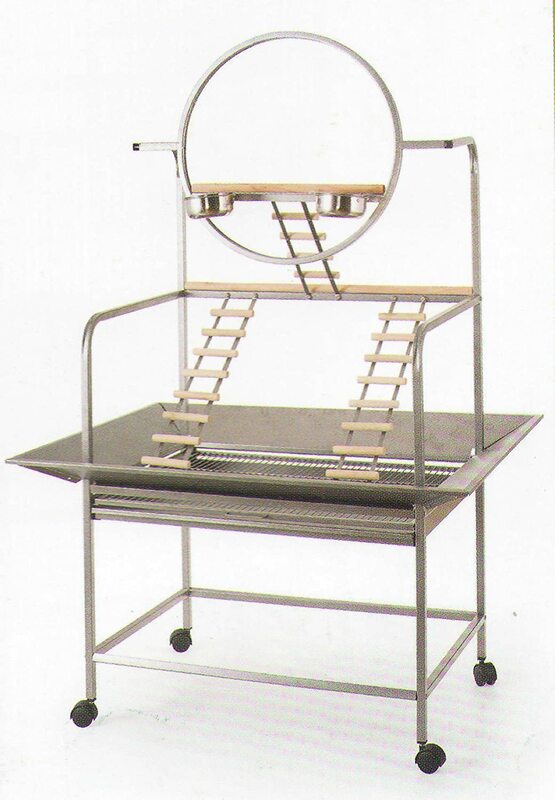 Novel design, unique, amusing, provides both mental and physical stimulation. 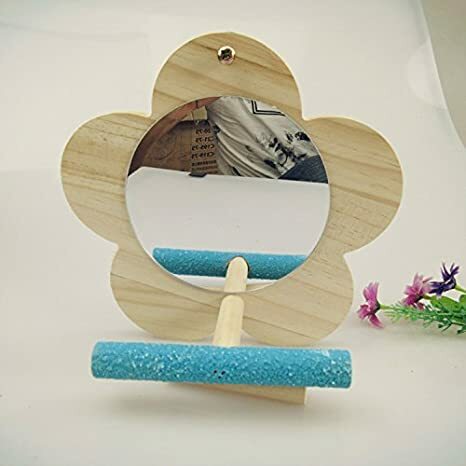 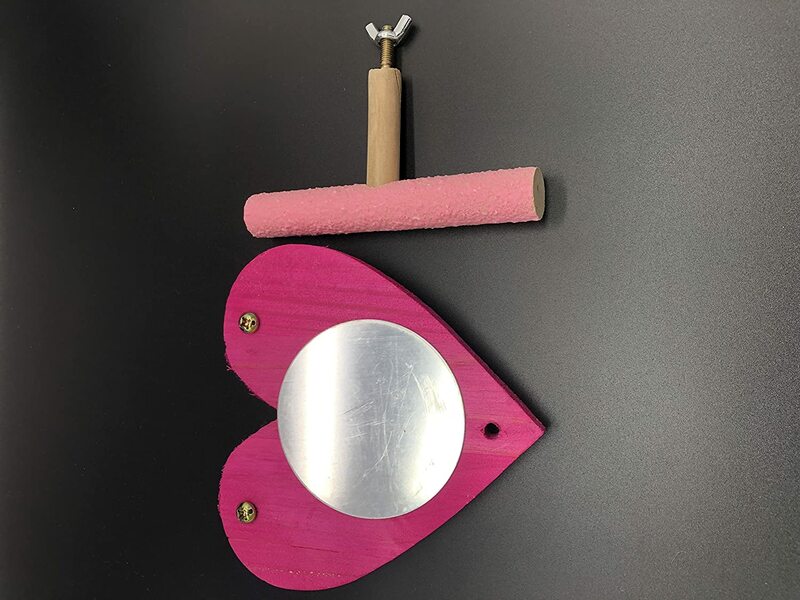 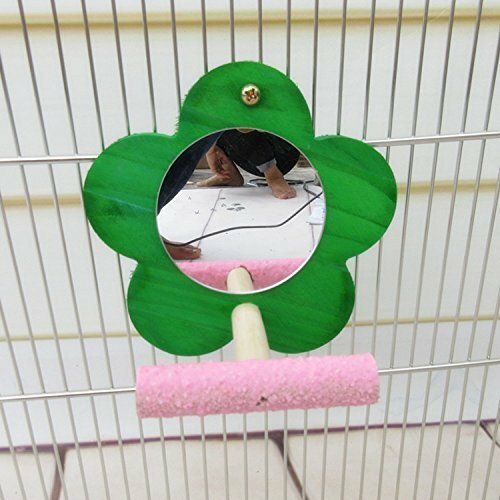 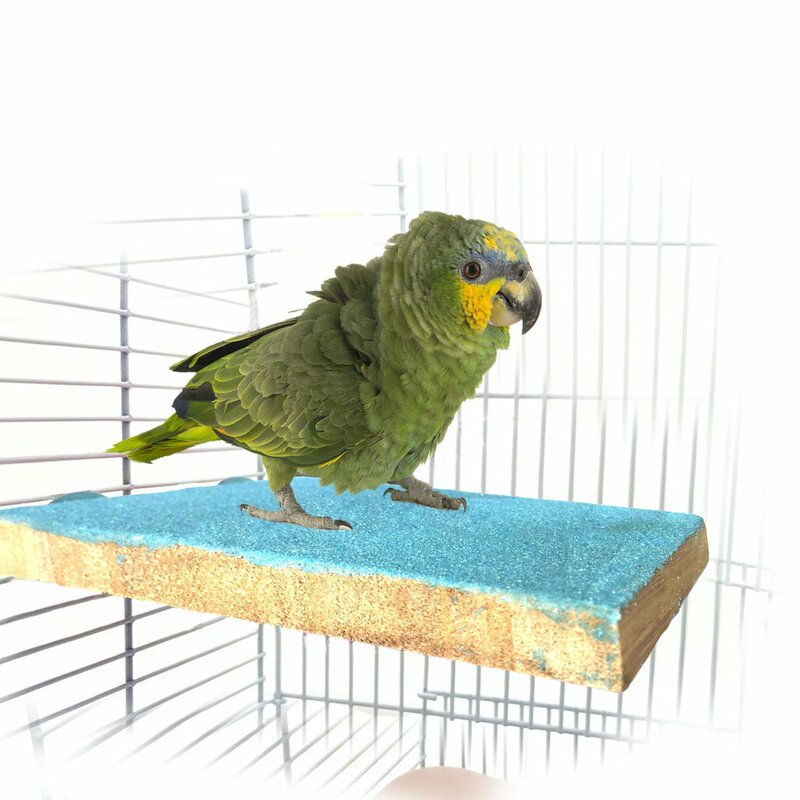 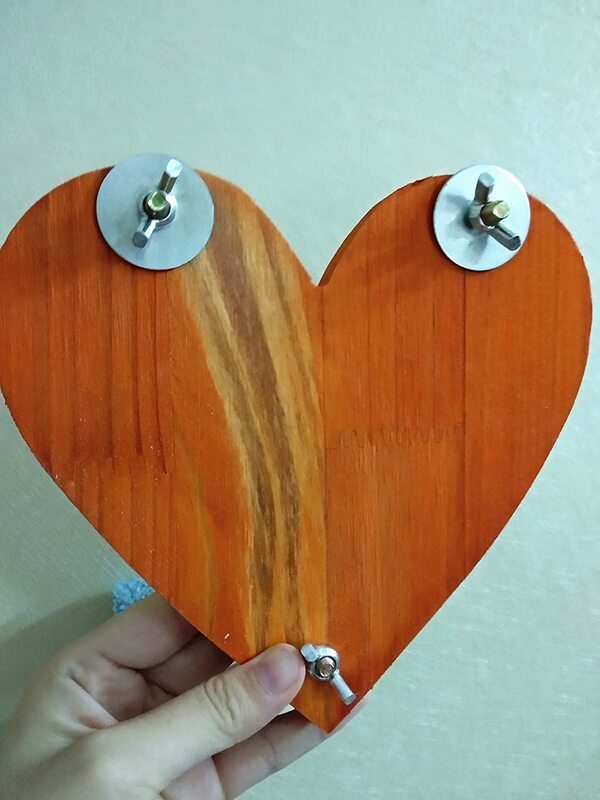 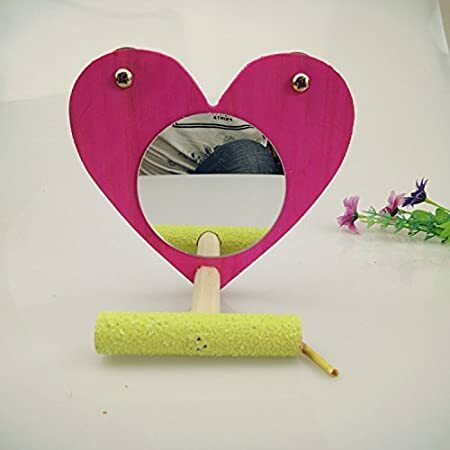 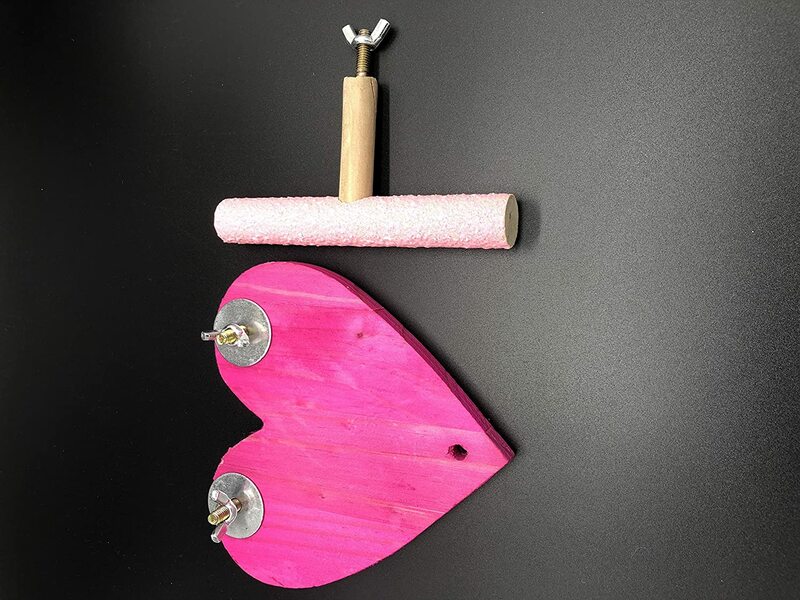 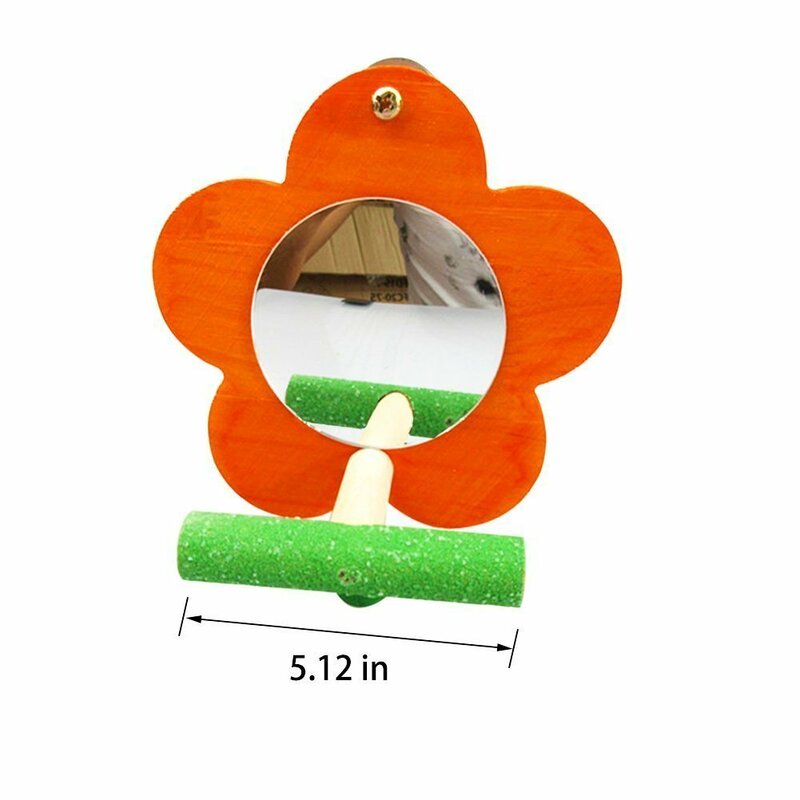 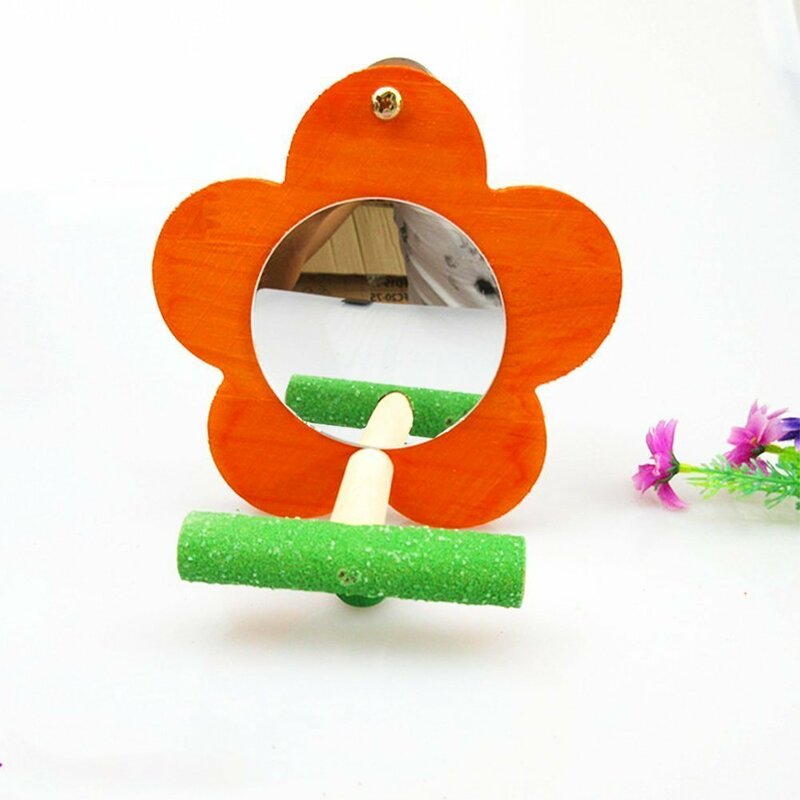 Natural wood with vivid color, this toy is not only a mirror toy but also as a cage perch, parrots gnaw bite and enjoy it. 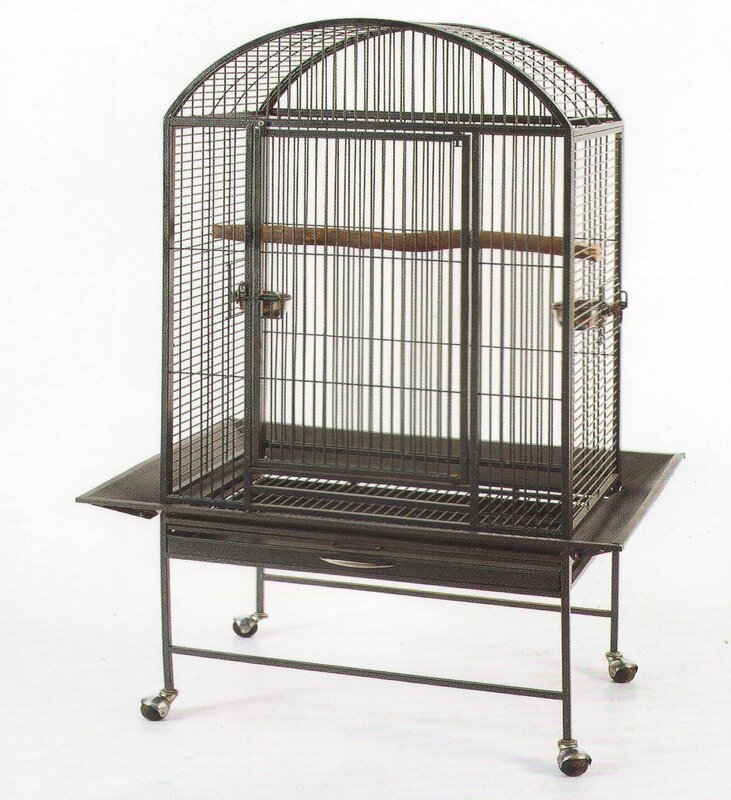 An ideal place designed for your little friends to play and climb, the screws of the top can be fixed on the cage, easy to install. 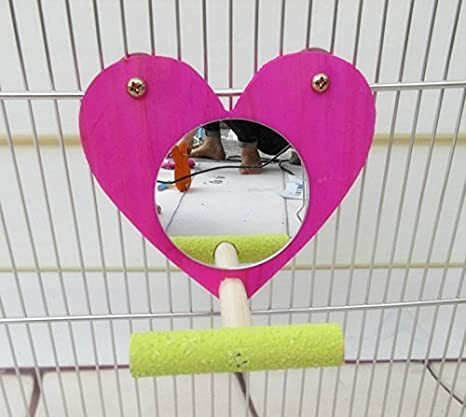 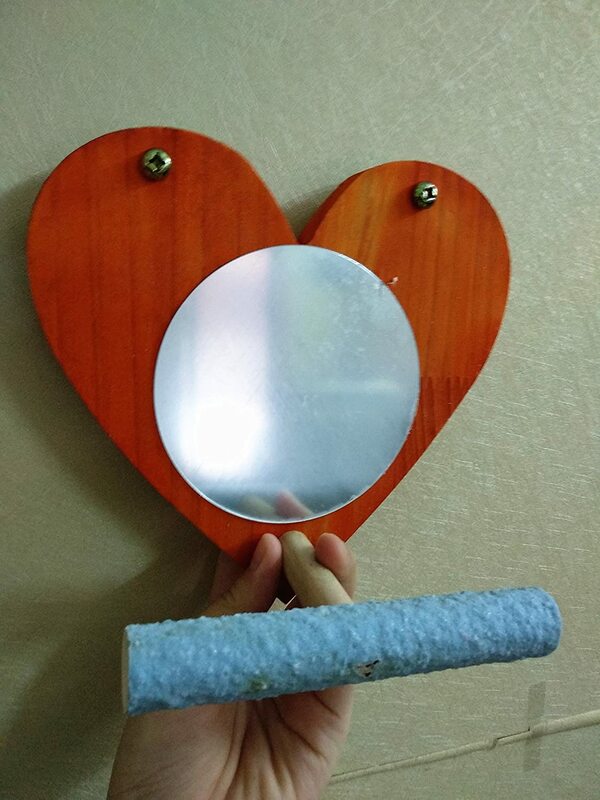 Bird can see the themseves appearance in the mirror, give him great fun. 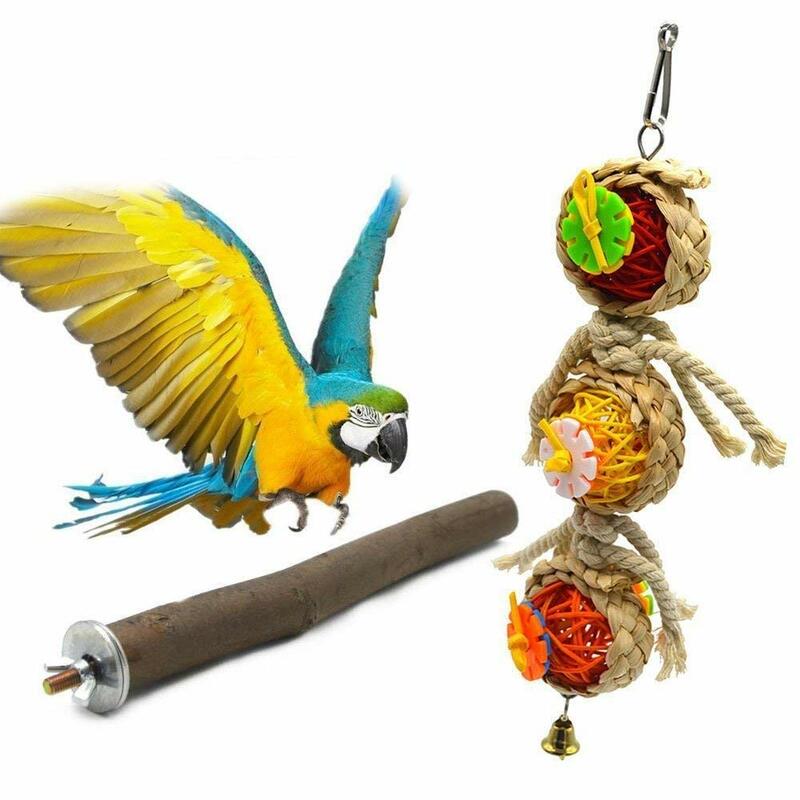 Fun to play,paw grinding and rest,relieves boredom and increases activity level. 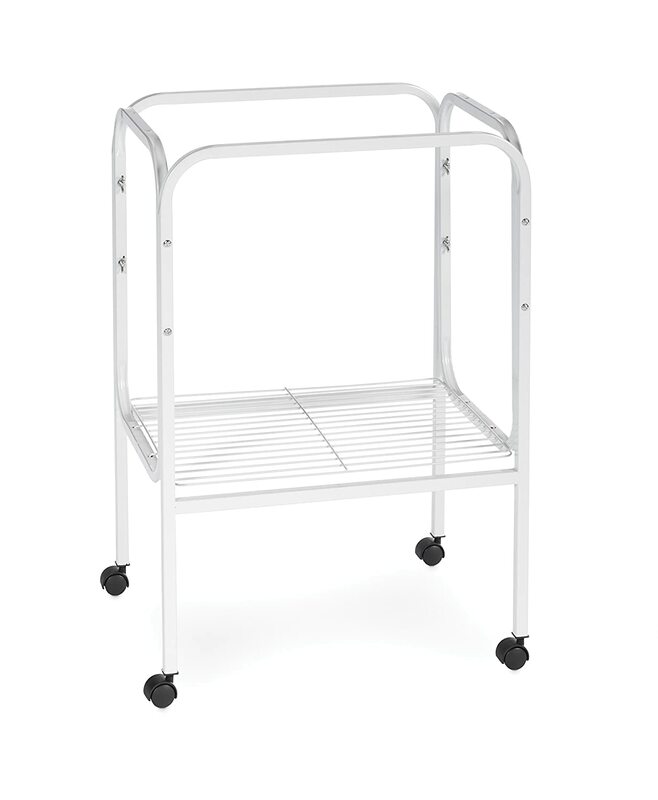 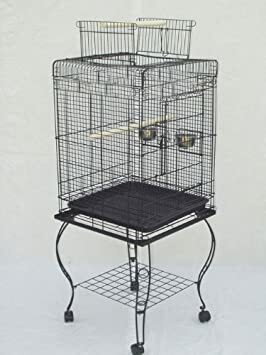 Prevue Pet Products SP444W Bird Cage Stand with Shelf, White Inc.